Water modelling enables us to make informed decisions on best-practice water management, to ensure clean water is available to future generations. 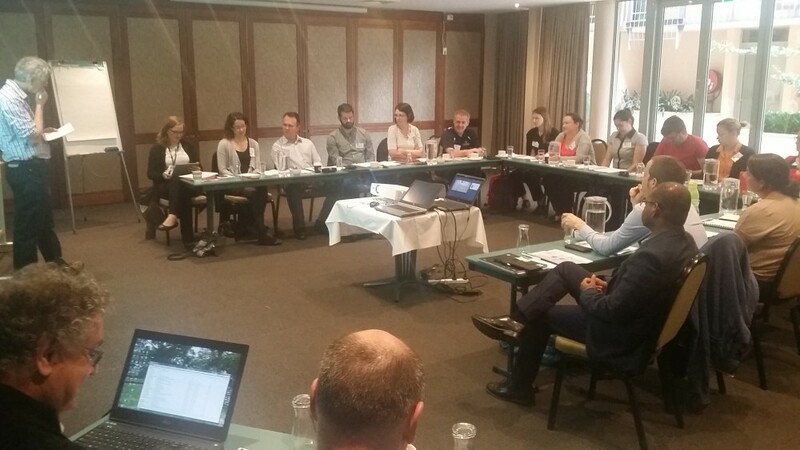 On behalf of the International Centre of Excellence in Water Resources Management (ICE WaRM), the Australian Water School has tailored a program called Modelling for Decision Makers which was recently delivered to 17 staff and associates of Victoria’s Department of Environment, Land, Water and Planning (DELWP). The course, delivered in-house over three days, is focussed on helping agency staff and stakeholders involved in policy and operational decisions that use modelling tools. The goal of the training is to lift understanding about modelling so that staff can question models submitted in proposals to ensure accountability. Trevor Pillar, ICE WaRM’s National Partnerships Manager, said the course’s stand-out value was in having staff from DELWP and its associate agencies workshopping with four highly-experienced professional modellers from both public and private consulting organisations: Tony Weber (Alluvium), Prof John Doherty (NCGRT/Watermark), Geoff Podger (CSIRO) and Tony Sheedy (Alluvium). “ICE WaRM engaged four of the best minds in water modelling on this project and it certainly paid off, given their ability to address the wide range of water issues around modelling,” Pillar said. “Day 1 was delivered as a webinar enabling all to interact without any travel – in fact one presenter joined the webinar from Pakistan. Then Days 2 and 3 were delivered with everyone together face-to-face in Melbourne. Extremely well presented and provided a wealth of knowledge. Useful to understand what needs to be included in a modelling quotation request. Highly-engaging and provided a transparent view into the minds of consultants and modellers. The course provided questions that should be asked of models. The most useful part of the course was learning how to question models, model uncertainty and how to develop succinct goals. Excellent use of time and effort by the presenters. I appreciated knowing that a more complex model is not necessarily better or more accurate. A similar program, tailored for your organisation, would enable staff to better pursue your strategic goals in water planning. Who should attend Modelling for Decision Makers? A range of sectors including Engineering, Water, Environment, Agriculture, Irrigation and Mining. Analyse the uncertainty associated with key model predictions. Dramatically improve their modelling skills. Recognise the substandard modelling work of others, even through facades of seductive graphics. Know how to ask consultants questions that will address the core issues. Know when it is appropriate to build an expensive model, and when a back-of­ the-envelope calculation would be better. Know how to recognise the “point of diminishing return” in model construction and deployment. Learn how to convince managers that models are not always correct. Learn how to convince stakeholders that, despite weaknesses, models are often the best way to analyse water systems.